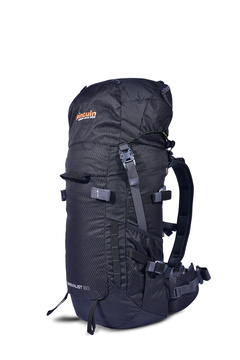 Practical single-chamber backpack designed for long-time trekking and mountain stays. 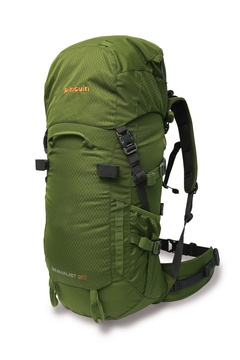 Minimalist has two pockets, placed in the back and bottom of the lid of the backpack. The remaining part consists of one large chamber with an original roller closure, similar to a waterproof bag closure system. In the closure of the main chamber, two parallel velcro straps are placed to fit the closure, to be twisted several times and fasten the ends together with a buckle. This shapes the practical handle. 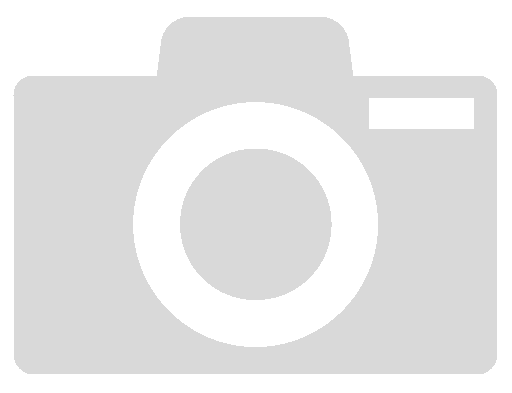 Thanks to one extra buckle, the closure can also be closed when the lid is detached. The ends of the rolled lid do not connect to each other but to the straps that otherwise close the lid. 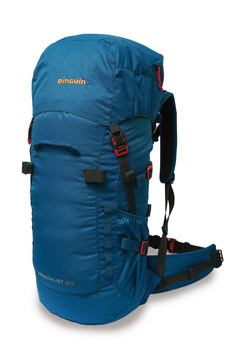 The lower part of the front of the backpack is provided with two loops for trekking sticks or ice-axes. These loops can be housed in pockets so that they are not caught by the branches while passing through the woods. 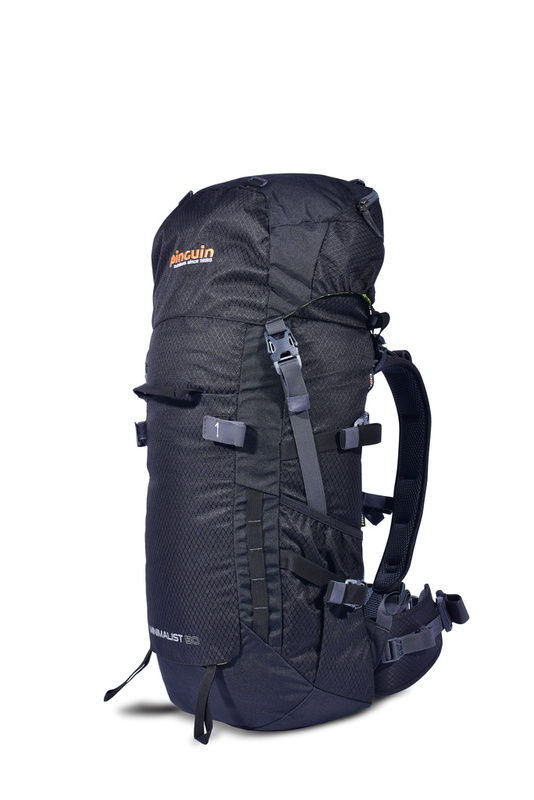 There are two strap ladders for attaching the extra load. 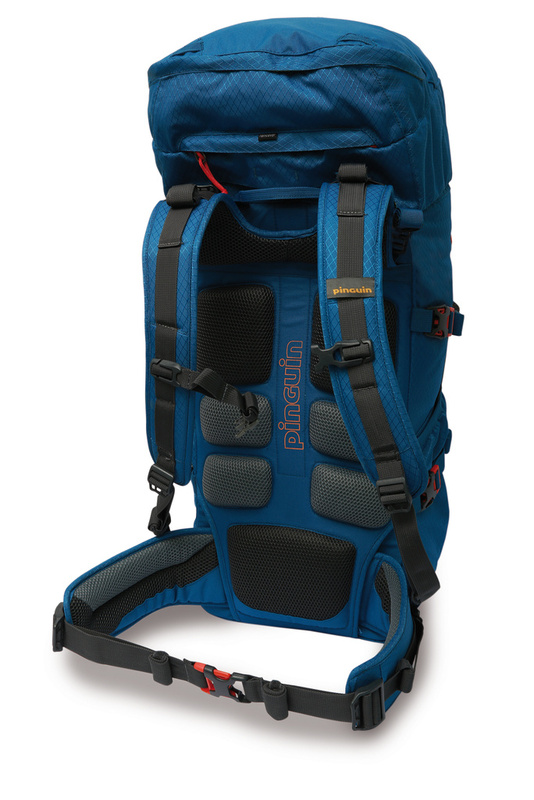 At the top of the ladders, there are the velcro loops for the handlebars of the trekking poles that can be detached. This simple front ends with the carry handle. 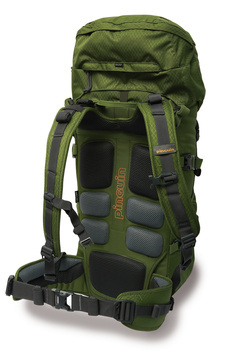 There are two stretch pockets on the sides, through which the lower pull straps. The upper and lower straps are fitted with buckles, making it easy to attach the load. The closing straps then come out of the side pockets, which can be switched at the option with the backpack lid or the roller closure. The lid of the Minimalist is provided with four massive grommets for additional load. There are two pockets and a raincover - located at the back and at the bottom. 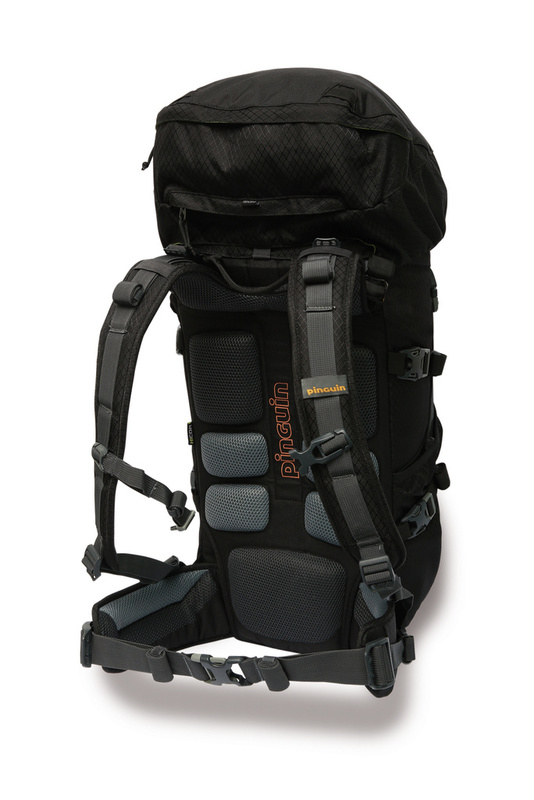 The lid can be detached together with the hip belt and combined to form a lumbar pack. In the main compartment of the backpack there is a camelbag compartment with velcro loops and access to removable back reinforcements.